Setter Play are a friendly, family-run business, located in the Bedfordshire area, that has a wealth of expertise. Offering 20 years of experience, we have a team of friendly professionals who consider no project too big or too small! We have been manufacturing playground equipment since 1997, and in 2000 we reached a benchmark, achieving the British Standards Institute Kitemark. This was a massive achievement for us, as we always strive to produce high-quality fun and educational playground equipment! We aim to meet your recreational requirements, at Setter Play, we even go the extra mile to exceed your expectations and ensure you have the best customer service experience. 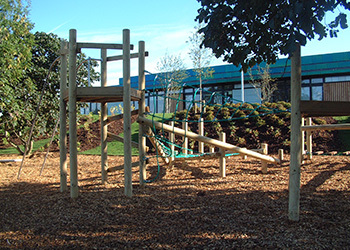 Setter Play design playground equipment to suit your environment, providing children of all ages with the opportunity to be creative and use their imagination as they play and learn! All it takes is five easy steps. The consultation will enable you to sit down with one of our experts and discuss the initial ideas you have. It is during this consultation that we will create a plan, taking into consideration the permissions required before the installation of your play area, and then putting pen to paper for your specific design. At Setter Play we aim to incorporate all your ideas to generate the best possible result! Once you have decided how you want your play area to look it is down to the Setter Play team to create your equipment and install it at your chosen location!